Robert Kuo works with timeless motifs from the Han and Ming dynasties, often combining them with deco and nouveau influences as well as nature. Always, Kuo seeks what is “classic” in the forms around him. 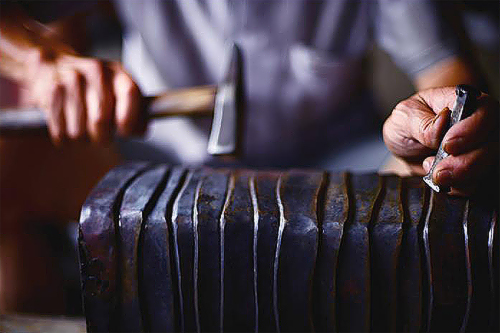 Kuo shifted his focus from working in cloisonné to repousse, the art of hammering decorative relief onto metal. Instead of applying enamel to a copper base, the artist began to experiment with applying different finishes to the base, and eventually, with working the base itself with hammering. 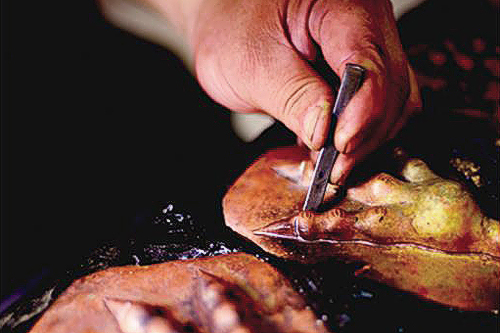 Kuo works with artisans in China experienced in ancient techniques. 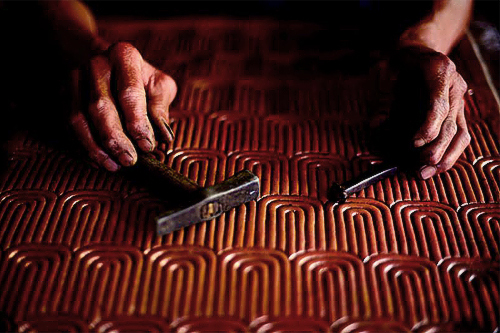 In a village near Beijing, he trained workers to adapt their skills to repousse bases. 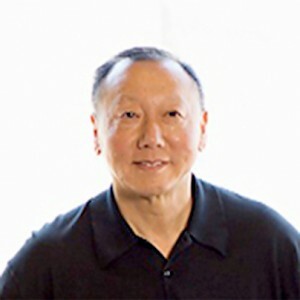 Today, he travels to Beijing as many as six times a year to supervise this critical phase for much of his work. Kuo’s designs, distinctive in their combination of East and West, are finished in the U.S. No object is signed until his perfectionist’s eye for detail is satisfied.